Steve Stephens may have only shot one person randomly, but he claimed to have killed 15. 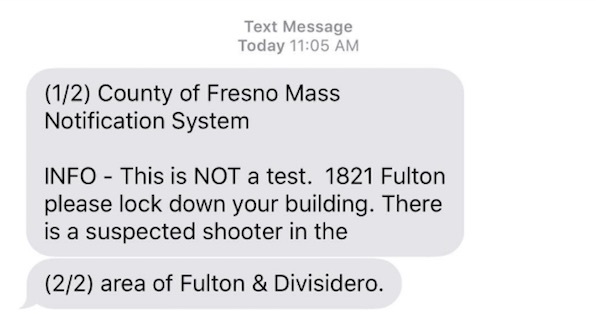 There is no evidence of that rumor. But as a rumor, it may have carried some punch. The center of the attention for the shooting was Fulton. 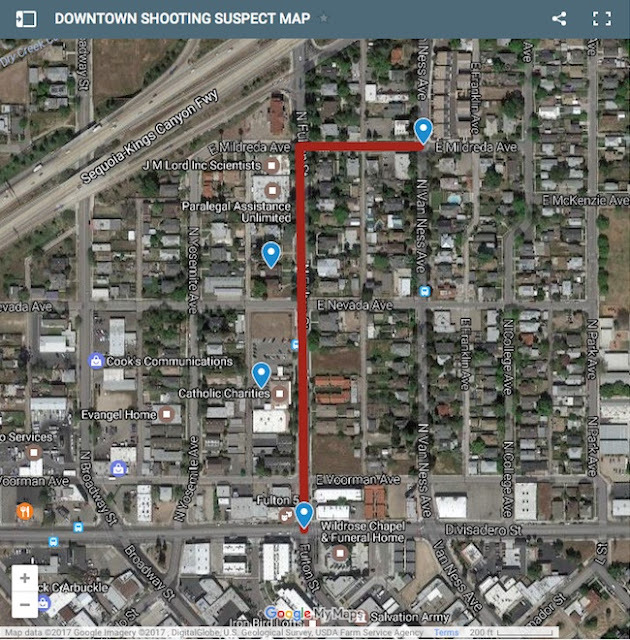 In Fresno, California, on April 18, 2017, a man went on a shooting rampage, and claimed three victims killed around Fulton Street and another dead at a Motel 6. 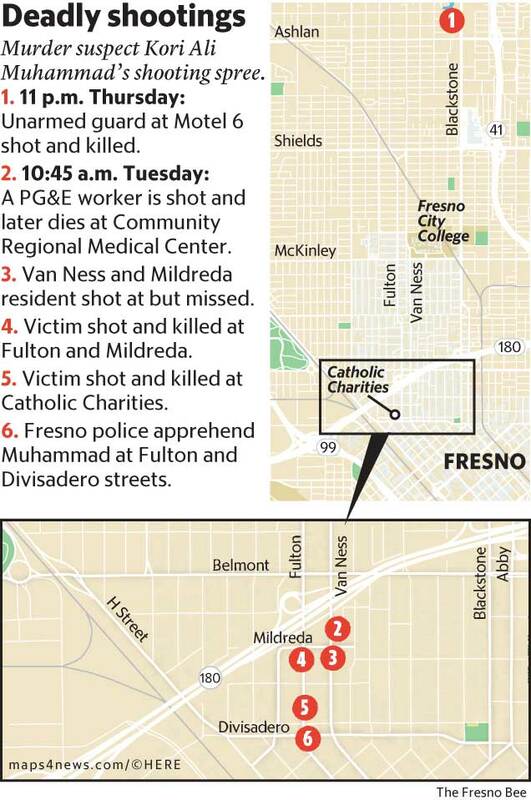 Three people were shot and killed after a man went on a shooting rampage Tuesday in Fresno, randomly shooting at four white men, killing three, before he was taken into custody, police Chief Jerry Dyer said. Witnesses reported the gunman sprayed rounds while reloading and cursing. 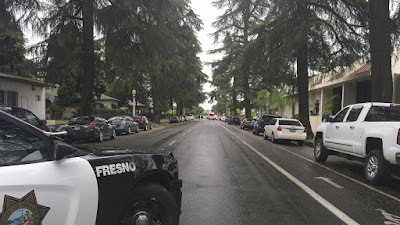 A second gunshot victim was reported outside of the Fresno Police Department station at Mariposa Mall and M Street at 10:51 a.m. The victim also was taken to Community Regional Medical Center, where he was pronounced dead, Dyer said.